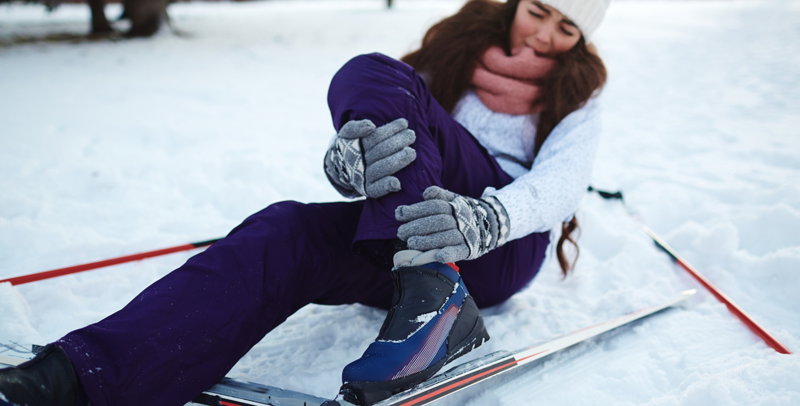 Injuries often occur during the year’s coldest months since the season brings adverse weather, holiday decorating, and winter sports. In particular, falls are a major cause of the season’s injuries. Some falls are more serious than others. For example, if you slip or trip and fall forward, then you may scratch up your hands and knees while breaking the fall. However, if you fall backward you may cause muscle strains or sprains. Here are some tips to help you avoid common autumn and winter injuries that can cause back pain. The arrival of autumn and winter may inspire you to decorate your home. Unfortunately, hanging decorations could lead to injury if hanging heavy items or items high on the roof. For instance, putting up Christmas lights are a big culprit for unintended injuries. Next time you put up Christmas lights consider using an A-Frame ladder instead of one that leans on the side of your house. Also, enlist some help in holding the ladder and assisting in untangling lights. Not only is hanging from a ladder trying to untangle the dreaded light strand knot unpleasant, but you may strain the muscles of your low back from bending and reaching at an unnatural angle. Additionally, make sure you’re wearing shoes with a sturdy grip when using a ladder and wipe down any pooling water from the rungs. We may not get much snow, but winter poses lots of ways to cause back pain and our Seattle chiropractors have seen it all when it comes to injuries that pop up when you may least expect it. When you’re walking outside during the winter months, keep an eye out for wet leaves and black ice because they can be slippery. Slips can cause ankle or foot sprains or breaks. If you decide to participate in winter sports, such as skiing or snowboarding, then be sure to visit ski school before tackling steep or dangerous mountain passes. By learning the proper method, you can avoid unnecessary strain on your muscles and ligaments. Furthermore, your instructor will show you how to prevent injuries. When it’s extremely windy or raining, you may automatically lower your head while walking. A lowered head may cause you to bump into other people or objects that you may not see. Wearing the proper footwear can decrease your risk of falling. Be sure to purchase shoes that have good traction. When entering a building, be sure to use the floor mats that most businesses and homeowners place in front of their structures. Uncarpeted, wet lobbies are often the most slippery!